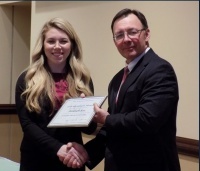 This is awarded to an outstanding accounting major who has completed at least 16 semester hours in accounting and intends to enter the accounting profession. Ron Bergy was Professor of Accounting at Westminster from 1962 until 2004. This is awarded for academic achievement and potential in students majoring in accounting, business, or economics. Students must apply at the beginning of the spring semester. 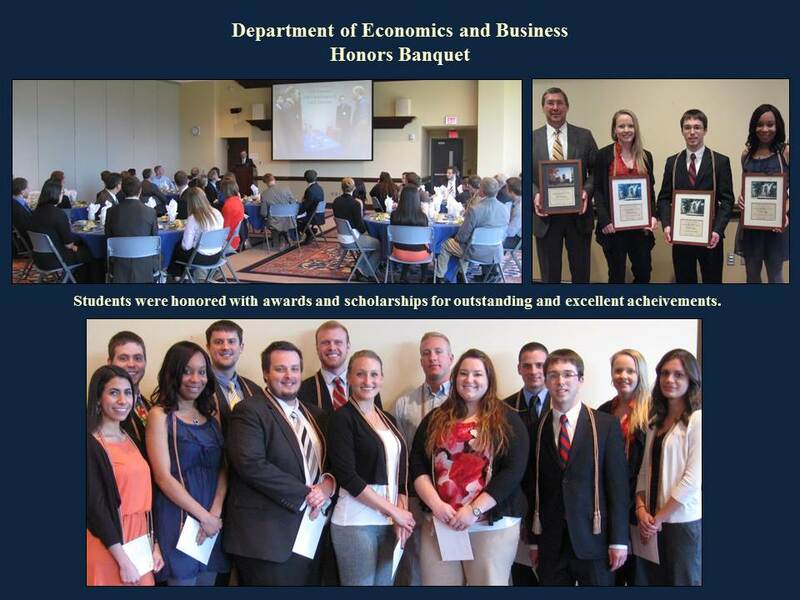 This achievement-based grant is awarded to the outstanding junior majoring in the Economics and Business Department. This grant is not necessarily based on financial need. Robert E. Lauterbach was CEO of Wheeling-Pittsburgh Steel Corporation (now WSX Corporation) and President of the Board of Directors of Westminster College. This scholarship recognizes outstanding upper-class majors in the department who also participate in the campus fine arts opportunities. Ms. Mackall, a trustee as well as a graduate (Economics), served as professor and chair of the Department of Economics at Youngstown State (now Emeritus). This scholarship recognizes a deserving, rising senior student who aspires to a career in human resources. 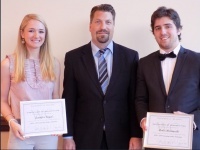 This recognition and scholarship is awarded to an outstanding junior majoring in the Department of Economics and Business. Mr. Sloan served Westminster College as Chair of the Department of Economics and Business during the 1960s. The Sam Sloan Scholarship was established in his memory. 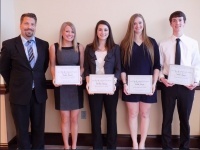 Awarded to one or more winners of a business plan competition held during spring semester. 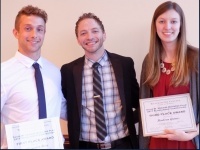 This recognition is awarded to the graduating senior who best exemplifies outstanding academic achievement and initiative. This recognition is awarded to the outstanding senior majoring in accounting. The award is sponsored by the Pennsylvania Institute of Certified Public Accountants (PICPA) and was established at Westminster in 1978. The PICPA is the professional society for public accountants certified to practice in Pennsylvania. Awarded to a current sophomore School of Business major with high academic achievement, strong leadership characteristics and commitment to extracurricular activities for use in their junior year, can be renewed for the senior year. Awarded for outstanding academic and leadership skills, commitment to theprinciples of a free-marketeconomy and functional interests tending toward marketing and/or general management. 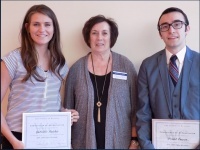 Students are recognized for valuable campus community service and support. 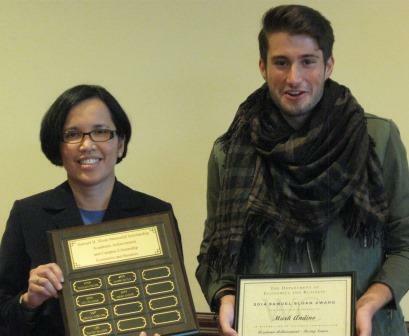 Students are appreciated for their exemplary effort and contribution to the department. What can you do with an International Business degree? Imagine yourself an International Business expatriate worker, international economist, international trade specialist, import compliance specialist, or cultural adviser.